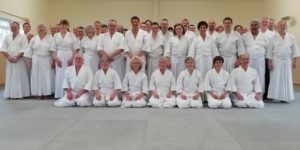 Please use this directory to find an Aikido club in your area. You can search for any part of an address, telephone number or teachers name. Alternatively, you may select a region, or click on a letter from the alphabetic index. Classes are suitable for all levels of fitness and may be practiced equally by men and women of any ability, from age 14 years upwards.